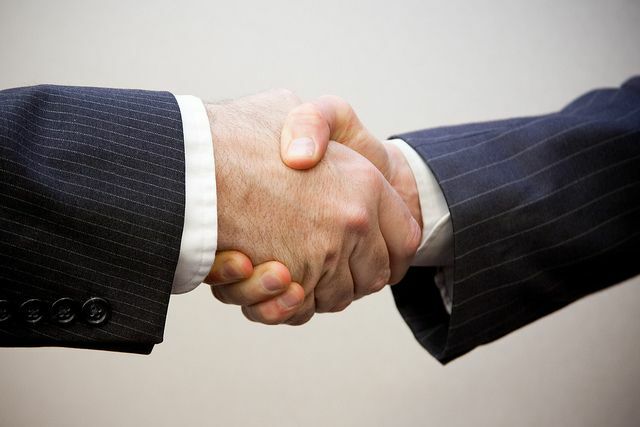 2014 was spectacular and fascinating with a lot of deals… What’s next? Internet serendipity is great! Indeed, I came across a very interesting website offering free reports on the pharmaceutical industry: Kurmann Partners. Just have a look! They are M&A consultants for several industries (I do not work for or is paid by them). They put online another useful tool which will be a good starting point to look at M&A multiples: a visualization tool offering several types of charts to monitor the M&A activity over the years from different standpoints and for private companies: Multiples. Below is an example of a chart you could find. 2015 – What happened up to now and what’s ahead? The trend seems here to stay as there is still a need to replenish pipelines and build a competitive advantage in specific therapeutic areas. I suppose that some domains will attract more buyers than others like immuno-oncology (a very hot topic today), antibiotics (as the governements are trying to incentivize companies). More generally, all therapies that could stand out from the crowd by being innovative (and not “me-too“-improved version of already existing drugs) will attract opportunity hunters. 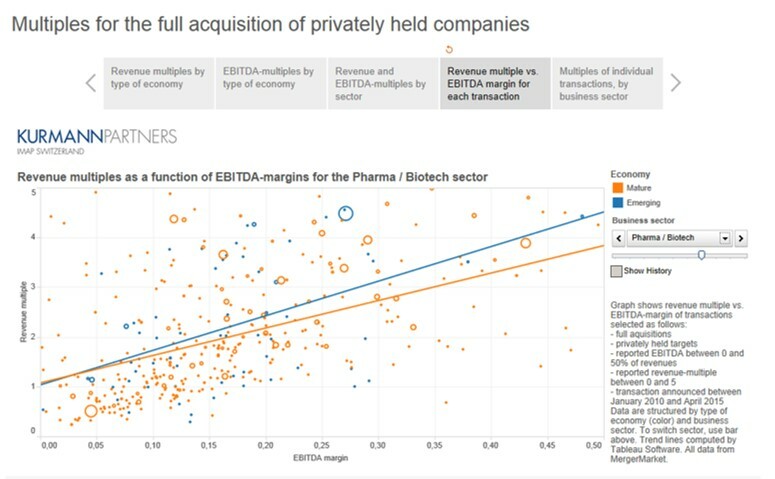 HBM Pharma/Biotech M&A Report 2014 – 2015 – HBM Bioventures – It is a very interesting overview with a perfect coverage of the topic, from an global overview to some detailled analysis of the deals done by public as well as private companies. It is a MUST-HAVE. This entry was posted in Corporate Strategy, M&A, Trend Box and tagged Corporate Strategy, Innovation, M&A. Bookmark the permalink.